Well, in the spirit of paying it forward, I’m going to start an ongoing series of “Running Nuggets,” little helpful hints that might make your races or runs a little bit easier. Today’s hint has to do with gear check. 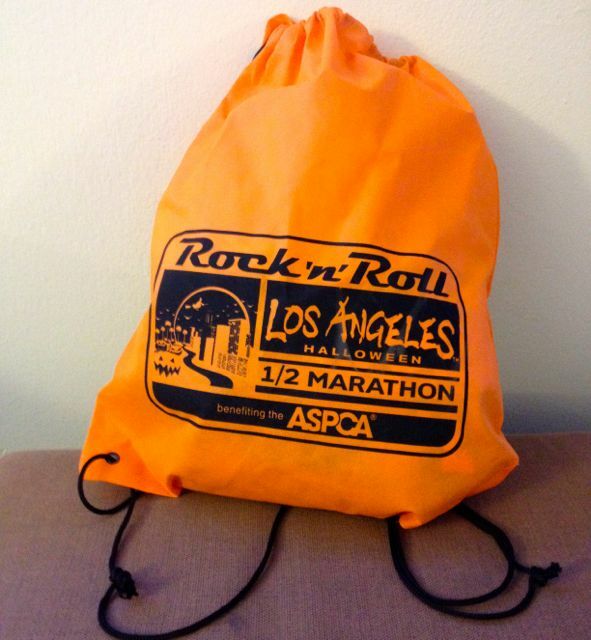 Most larger races give you a plastic bag or drawstring backpack at the expo that doubles as you gear check bag. It’s awesome… don’t use it! I’m not saying don’t use gear check; I’m saying don’t use the bag they give you. Why, you ask? A simple analogy will make things clear. Think about the baggage carousel at the airport. You get off a flight and wait along with 150 other cranky passengers at the carousel. After what seems like eternity, bags start coming out… and about every other one seems to be a black bag. Don’t they all look alike? How many times have you wondered which bag is yours or started grabbing one only to realize it belongs to someone else. Oops. 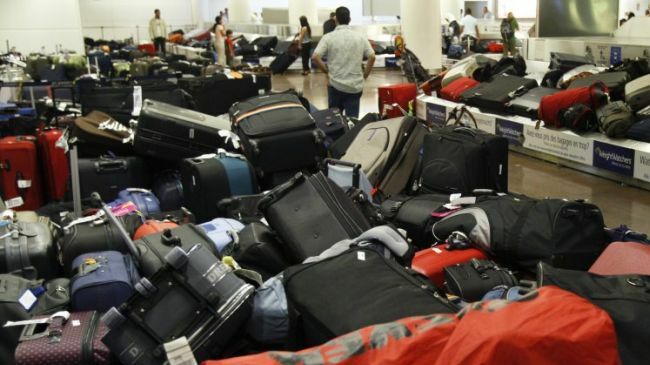 Now imagine if everyone on the plane had the exact same bag (color and size) with the only way to determine whose bag is whose is a little number on a tiny tag. Thing would get ugly, right? Now let’s up the number of bags from 150 to say 1,000 or 10,000. And your luggage is being handled in a makeshift setting by a bunch of well meaning, but undertrained, volunteers. Oh and every one of your fellow passengers is sweaty, stinky, sore and wanting to get their bags right damn now. Can you say chaos? That’s what gear check can be like. I’ve been at races where the sorting system went bonkers and the bags were lumped together in one big pile. At the 2011 Long Beach Marathon, that very thing happened and it took some people over an hour to get their gear bags. So, how do you lessen the insanity? Simple. Use a different color bag if rules allow….or add some “flair” (additional tag/ribbon/tape). NOTE: PLEASE READ THE RULES FOR EACH RACE (OR CHECK WITH RACE SOLUTIONS AT THE EXPO) AND MAKE SURE THEY DON’T REQUIRE YOU TO USE ONLY THEIR BAG. I think my bag is in there. Back to our airport luggage analogy. How many people do you see use crazy colored straps or some other kind of wild tag/marking so they can instantly find their bag? There you go. You’ll get your gear bag a little bit quicker and post-race life will be just a little bit sweeter. Posted on January 19, 2014, in General, Running Nuggets and tagged Airport Baggage, Gear Bags, Gear Check. Bookmark the permalink. 3 Comments. I agree you should always read race instructions… each race does have its own rules (whether it’s for gear bags, use of headphones, friends picking up bibs, time limits on courses and camelbacks). I’ll include a little note about that. Good advice, sometimes you don’t have a choice in the matter. I personally have never had any problems with gear check and really like having my sweats waiting for me post-race (along with a place to carry my gear belt and other accessories after the finish. True… hence the update. I’ve never had any problems checking another race bag (not a dufflebag or backpack), but in light of Boston, things have gotten tighter…such as some races not allowing camelbacks at all. So, I can see more races doing that.